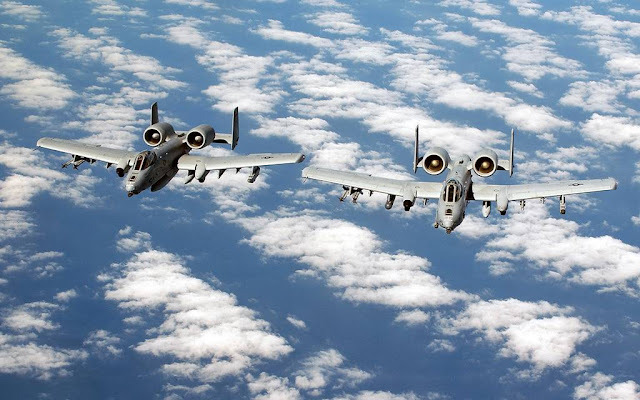 Two A-10 Warthog aircraft suffered a mid-air collision in September 2017. USAF A-10 Thunderbolt accident investigation report. April 12, 2018 - Two A-10C's collided over the Nevada Test and Training Range on Sept 6, 2017, due to the unintentional failure to adhere to established altitude and deconfliction procedures, according to Air Combat Command Accident Investigation Board report released today. The pilots were conducting a night, close air support training mission as part of the Weapons Instructor Course qualification for pilot one with pilot two as the instructor of record when the incident occurred. Pilot one climbed above the assigned altitude block during a series of commands and did not hear the audible notification signaling the altitude climb and therefore did not radio-in to deconflict established altitude blocks. This caused pilot one's aircraft to enter the altitude space designated for pilot two. Pilot two did not have line of sight on pilot one when the collision occurred. The midair collision rendered both aircraft uncontrollable and both pilots ejected.